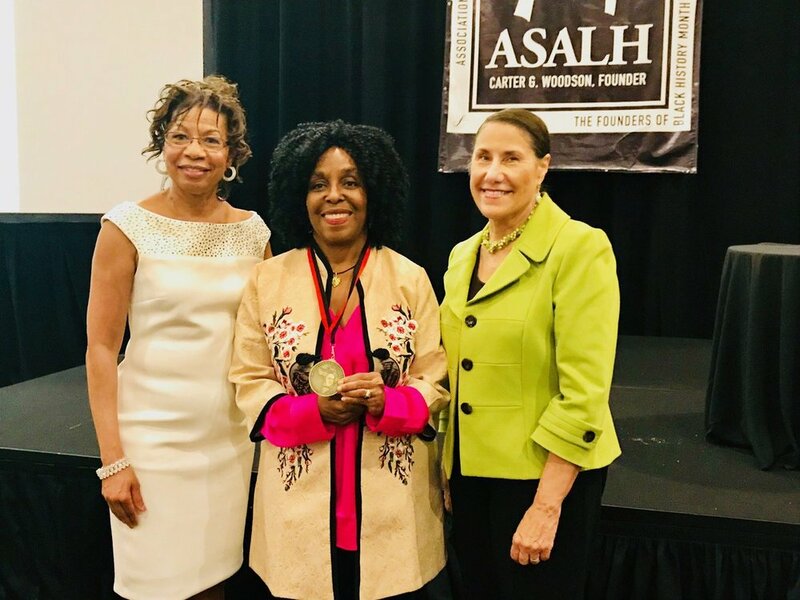 Established in 1993, the Carter Godwin Woodson Scholars Medallion is presented to a scholar whose career is distinguished through at least a decade of research, writing, and activism in the field of African American life and history. The recipient’s career should embody and personify the Woodson legacy to ensure a firm foundation for the continuance of African-centered education through dedication and commitment to African-American history. Dr. Woodson devoted his entire life and resources to chronicling African American history and the recipient must have continued his tradition of correcting the deficiencies in American history where African American History is misinterpreted or distorted. The person selected must be a trained historian and an active participant in the scholarly work of the Association for the Study of African American Life and History. Brenda E. Stevenson, alongside Sharla Fett of Occidental College, has been named as a William Andrews Clark Professor, 2019-2020. Together, the scholars will organize a series of three conferences geared toward exploring the complex and contested origins of the nation at the Clark Library. The conferences are entitled “‘20. And odd Negroes’: African Labor, Colonial Economies, Cultural Pluralities”; “‘Burgesses to be chosen in all places:’ Representative Governance Takes Hold on British Claimed Soil;” and “‘Respectable’ Women’: Gender, Family, Labor, Resistance and the Metanarrative of Patriarchy,” respectively. Brenda E. Stevenson presented her research on“The Changing Spaces and Faces of Slavery” during the 2017 Southern Grandeur Tour in her role as a distinguished lecturer. The tour journeyed down the Mississippi River visiting cities in Louisiana, Mississippi and Tennessee to explore the sites and histories of the American South. Brenda E. Stevenson has awarded the Mellon Foundation Fellowship at Stanford University. Through this fellowship Dr. Stevenson will continue her research for two book-length works focused on enslaved women and the enslaved family, respectively. Brenda E. Stevenson has been named the Nickoll Family Endowed Chair at UCLA. The position, created and supported by UCLA alumnus Benjamin Nickoll, is designed to promote the scholarship on the histories of women. This position enables Stevenson to continue her world-class scholarship on the histories of enslaved women and families in the United States and throughout the wider Atlantic World. 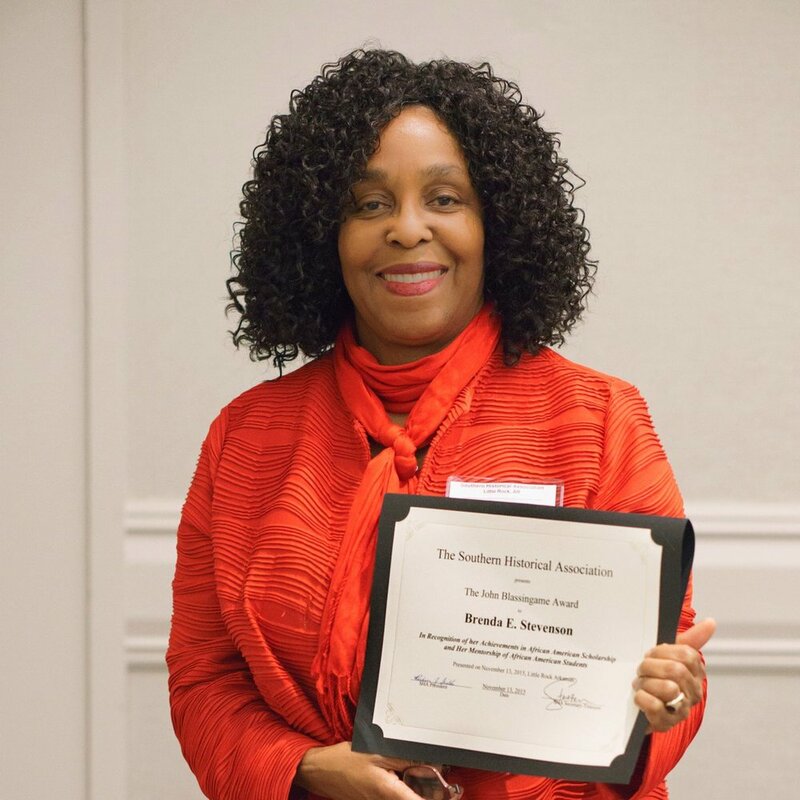 Brenda E. Stevenson receives the Southern Historical Association’s John W. Blassingame Award honoring scholarship and mentorship in African American history. Brenda E. Stevenson has been awarded the John Simon Guggenheim Memorial Fellowship (2015-2016), where she will continue work on her current project, Fanny's World of Women: Generations of Enslaved Black Females in North America. Brenda E. Stevenson will serve as the Axel Springer Fellow for the Spring 2016 term, where she will continue researching the performance of social status among free and enslaved African American communities. 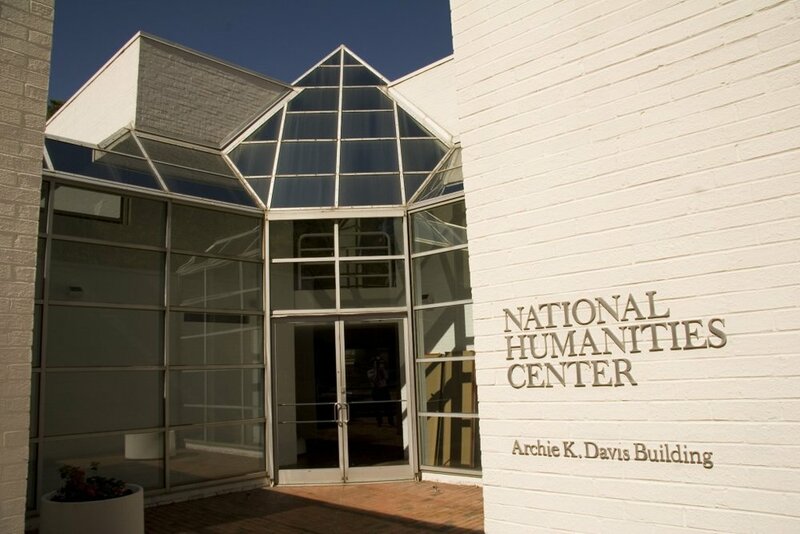 Brenda E. Stevenson will join many of the fields most distinguished scholars in gathering at the National Humanities Center in North Carolina during the Fall 2015 term. She will continue her work on her current project, Fanny's World of Women: Generations of Enslaved Black Females in North America. Brenda E. Stevenson is featured as one of the 21 Leaders of 2015 by We.News, a network that provides coverage on contemporary women’s issues. We.News celebrates Stevenson’s role in “interrupt[ing] legacy narratives” and has awarded her the Ida B. Wells Award for Bravery in Journalism. This prize, in part, is the result of the significant contributions offered in Stevenson’s recently published work, The Contested Murder of Latasha Harlins: Justice, Gender, and Origins of the LA Riots. Brenda E. Stevenson received the James A. Rawley Prize from the Organization of American Historians. The Rawley Prize is awarded to the best book on race relations published that year. Brenda E. Stevenson has been honored as a recipient of UCLA’s Gold Shield Faculty Prize. The award is given to exceptional faculty in recognition of their outstanding scholarship, teaching and service in a department with an undergraduate program.